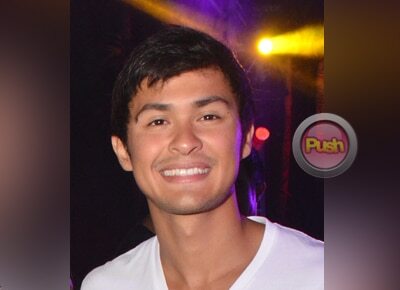 Matteo Guidicelli talks about how he and Sarah Geronimo deal with questions about their relationship. Even though he was busy with promotions for his new Star Cinema movie Can’t Help Falling in Love, fans were happy that Matteo Guidicelli still made time to take girlfriend Sarah Geronimo out to watch the Coldplay concert last week. The couple was spotted enjoying the night together along with the concert crowd. “It was very nice, it was fun, it was different because it was just a good vibe concert. Parang it was a New Year concert, parang it was so festive, it was so colorful. It was all about love so it was very nice,” he told Push. Being a serious triathlete, Matteo said that he is also gearing up to join more races this year. Even though Sarah has been very supportive of his passion, Matteo said it is unlikely the Popstar Princess will be joining him in his sport. “No I don’t think so. She’s working out but not racing. The second week of April is going to be my first triathlon race in Cebu and the next big one is going to be the Ironman in Cebu. But before that there’s going to be a few other races,” he shared. Matteo also shared they will be spending Holy Week break apart this year. “I’m going to be in Japan with the family kasi it’s my brother’s first time to go to Japan. We’re going to be there for just a few days. I think she’s just staying here with the family,” he admitted. Even though they are constantly in the limelight, Matteo said he and Sarah never hid anything from the public. “Wala naman. We never had any kaba about that na kung dudumugin ba kami or hindi. We just go out and we just try to make it as normal as possible. The supporters are actually inspiring us. We get happy because they’re happy. It’s like a two-way thing and I’m very thankful for them also. We try to keep it as simple as possible, as normal as possible,” he explained. Even when the local media is always pressing them to share details about their relationship, Matteo said he and Sarah have never let it affect their low-key relationship. “No naman. Maybe sometimes (laughs). It depends what questions. But we should be thankful that you guys are asking the questions. If walang supporters, walang press, we wouldn’t be here also. I think it’s part of the job and we just have to be as true and as honest as possible,” he added.